60s Girls Grooves aired August 3, 2013. 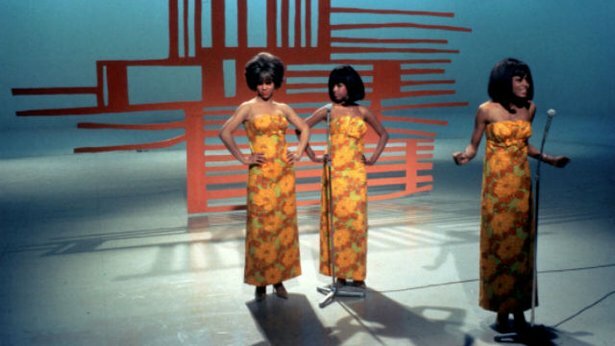 Host Mary Wilson of the Supremes celebrates the greatest girl groups and singers of the '60s. For the first time ever, My Music spotlights the girl groups and solo singers from the early and mid-1960s in an all-archival celebration that features original performances. Curating worldwide video archives with rare footage from the vaults. The legendary girl group The Supremes perform a medley of their greatest hits, including "I Hear A Symphony." “This period in American pop music was very special,” series creator TJ Lubinsky said. “It was a time of innocence, angst, puppy love, heartbreak and, most of all, great memories of carefree youth — like the feeling of that one memorable summer we all had in our teens — wherever we were hearing these songs on the radio.” It’s early rock and pop at its best on PBS, hosted by the always vivacious and “Supreme” Mary Wilson. 60s Girl Grooves brings back pivotal R&B and pop vocal groups of the late fifties and sixties through never-before-broadcast archival and new live performances of their most loved hits. 60s Girl Grooves was produced by TJL Music Productions. © TJL Music Productions. All Rights Reserved.